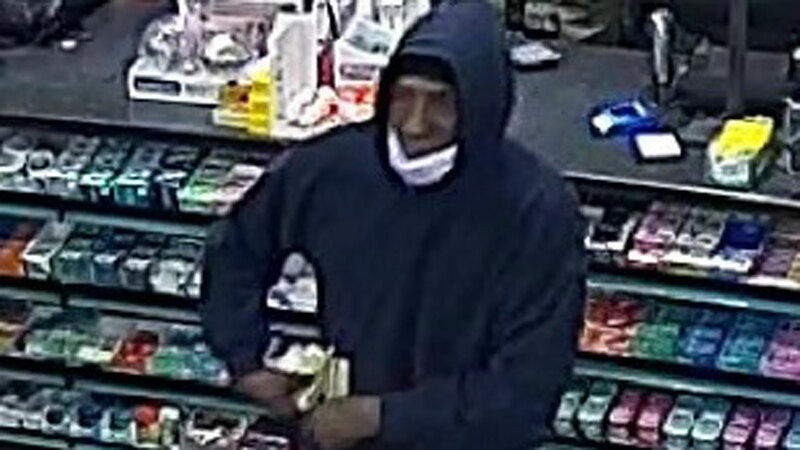 SUFFOLK COUNTY, Long Island -- Police are looking for a man who robbed five Long Island businesses while wearing a surgical mask. A man entered five businesses in East Patchogue, Yaphank and Holbrook between February 17 and April 28, displayed a handgun and fled with cash. 7-Eleven, located at 139 Sunrise Highway, East Patchogue, on February 17 at approximately 11:45 p.m.
Speedway, located at 80 Horseblock Road, Yaphank, on February 25 at approximately 8:15 p.m.
7-Eleven, located at 139 Sunrise Highway, East Patchogue, on April 21 at approximately 3:20 a.m.
Valero, located at 151 Hospital Road, East Patchogue, on April 24 at approximately 1:55 a.m.
7-Eleven, located at 796 Broadway Ave., Holbrook, on April 28 at approximately 2 a.m. He was wearing the surgical mask during all five robberies. The suspect was described as black and approximately 6 feet tall. Suffolk County Crime Stoppers is offering a fast cash reward of $5,000 for any information leading to an arrest. Submit a tip by calling 1-800-220-TIPS or emailing www.tipsubmit.com.